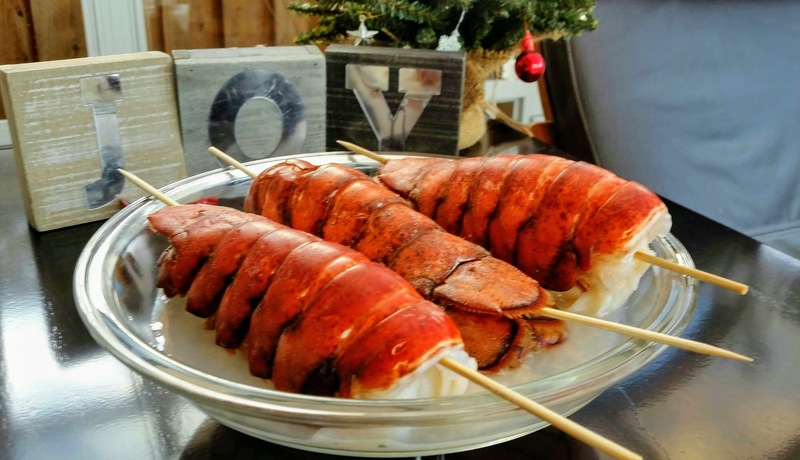 Bought three lobster tails last weekend, and I have been wondering what to do with it. Hillary convinced me to cook lobster jambalaya. 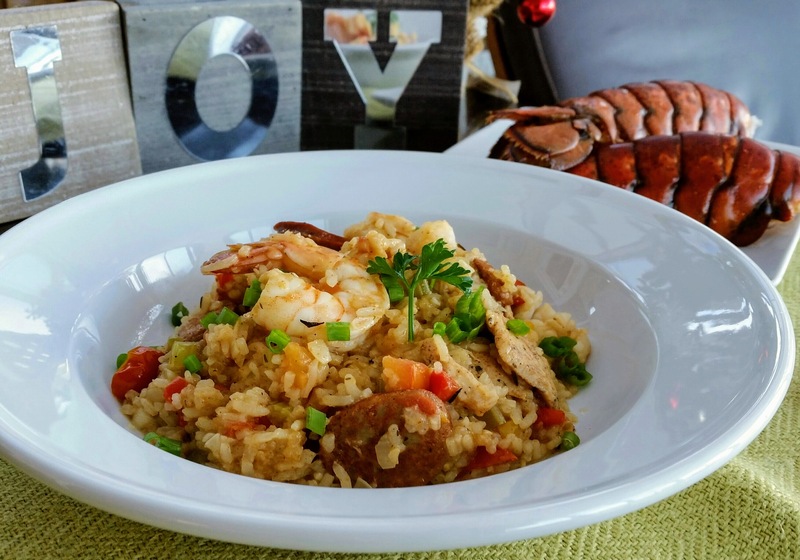 I modified Emeril Lagasse’s Jambalaya recipe to incorporate the lobster and colorful pepper. 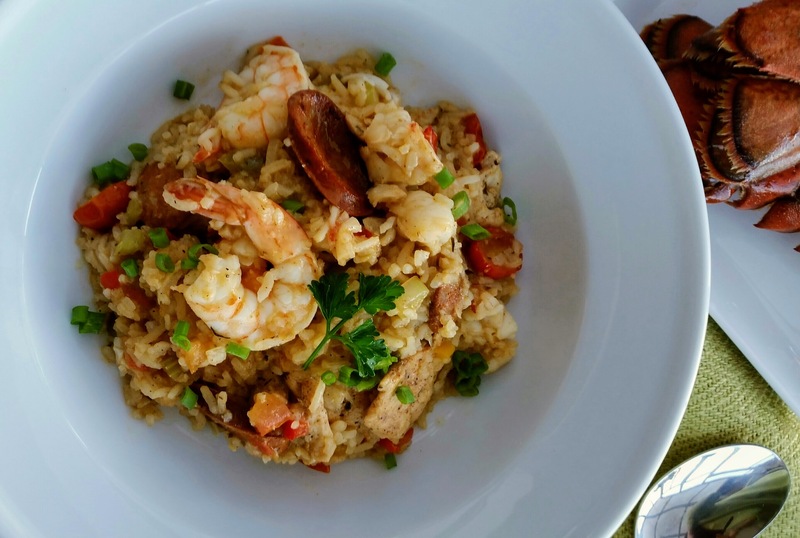 Last time I tried this recipe, I took the short cut and dumped everything in the rice cooker. That didn’t turn out well, it was a mushy mess. This time, I cooked it on the stove and reduced the liquid substantially. The result is a very tasty and hearty dish to end the Thanksgiving weekend. Success with my first lobster recipe! Clean the lobster tail. Poke a bamboo skewer through the length of each tail and steam for 8 minutes in the steamer. Remove the lobster meat, cut into chunks, and rub some creole seasoning into the lobster chunk. Chill in the refrigerator until ready to use. 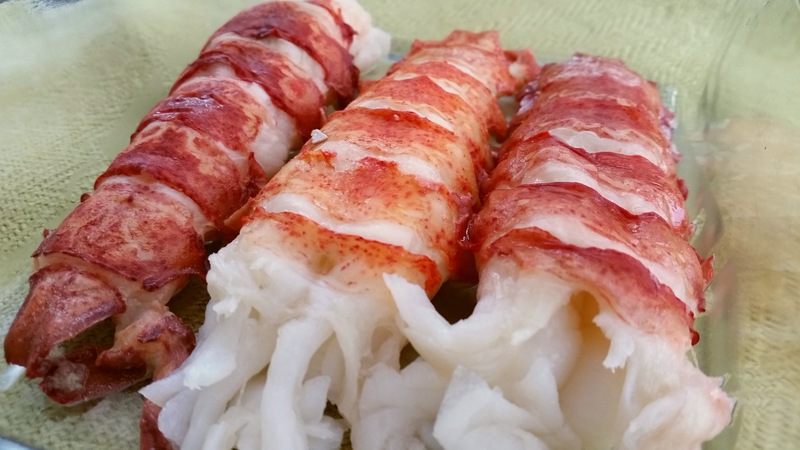 Reserve any liquid from steaming the lobster. Slice chicken breast and rub some creole seasoning. Season for 20 minutes while you chop the pepper and celery. Brown seasoned chicken breast and set aside. Brown sliced andouille sausages in a pan, set aside. Heat bacon drippings in a dutch oven over medium high heat. Add onions, bell pepper, and celery. Stir fry over high heat for 3 minutes. Add garlic, tomatoes, bay leaves, rice, chicken broth, reserved liquid from steaming lobster, Creole seasoning, and Worcestershire sauce, bring to a boil. Reduce heat and cook uncovered for 10 minutes, stirring occasionally. Cover for and cook for another five minutes. Rice should be almost cooked. Do not overcook the rice. Stir in the shrimp, chicken, andouille sausages, and lobster chunks. Cook for another 10 minutes until the shrimps turned pink. Ladle into serving dish, garnish with chopped green onions.